The January / February 2019 Issue is out now! 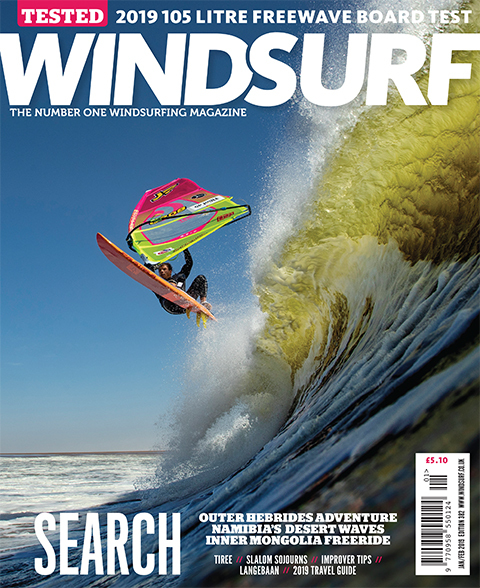 Search: Outer Hebrides Adventure, Namibia’s Desert Waves, Inner Mongolia Freeride, Langebaan – South Africa, 2019 105 Litre Freewave Boards Test, PWA Slalom Sojourns, Peter Hart on new kit trends, Tiree Wave Classic, Jem Hall’s improver tips, 2019 Travel Guide and Alessio Stillrich. 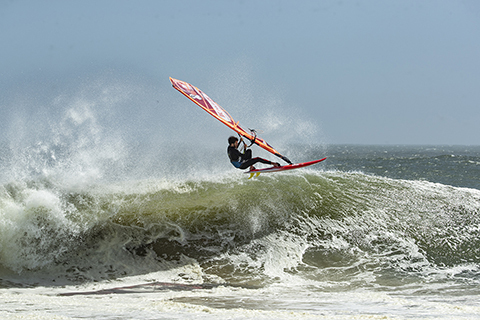 Where the Namibian desert meets the sea, long and hollow winding waves unload onto barren sands; Thomas Traversa reflects on his journey to ride them. 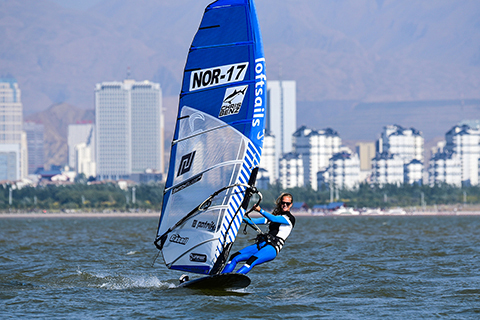 Miriam Rasmussen gives us an insight into windsurfing in the city of Wuhai, located on the Yellow River between the Gobi and Ordos deserts. Leon Jamaer travels to the islands of Lewis and Harris in Scotland; Leon recounts his trip and gives an insight into his passion for exploring. 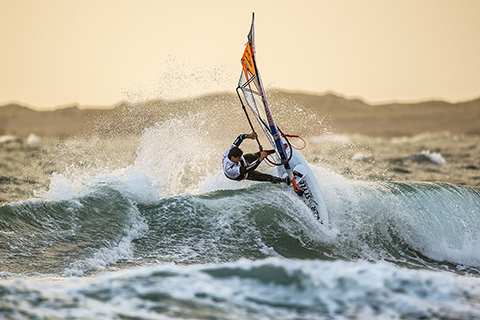 North of Cape Town lies Langebaan, offering great freeride conditions and even wave sailing sometimes. 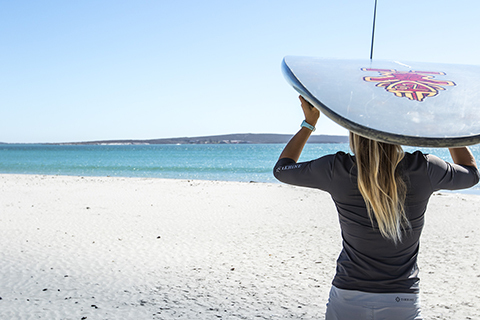 Karo van Tonder, gives us a guide to her home waters. 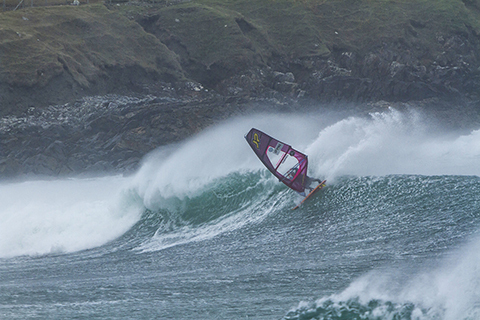 JC put on his best tartan and flew to Tiree to find out what the various Sassenachs present thought of this year’s Wave Classic event. 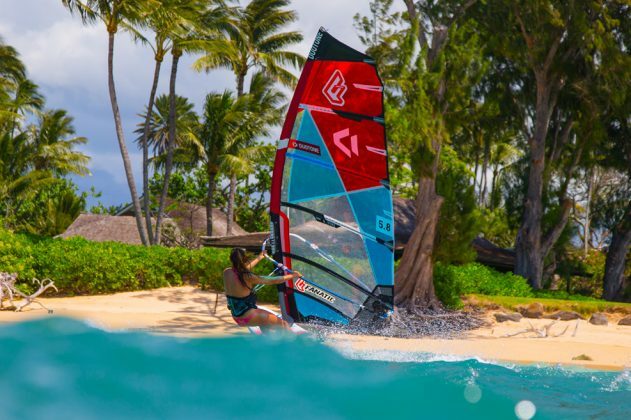 PWA Slalom racers spend more time travelling than any other sailors on tour; the frequent flyers detail the highs and lows of travelling with race gear. Thinking of a holiday? 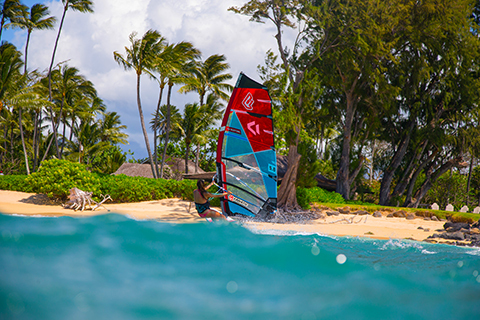 Find out where and when to go as we give the lowdown on some of the world’s best windsurfing destinations. 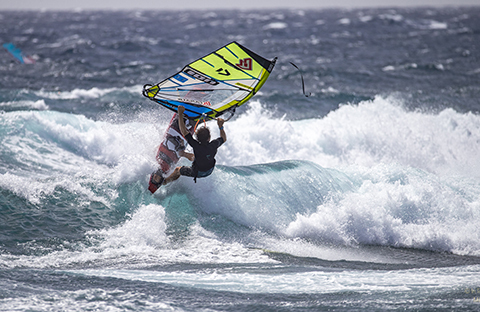 It’s been a while since our sport has seen quite so many groundbreaking changes; Peter Hart casts a critical eye over the new trends. Looking to improve? 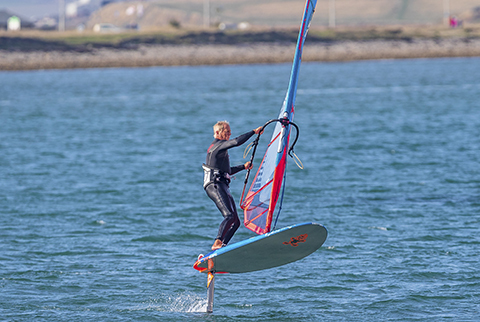 Jem Hall gives us tips and targets that a sample of sailors he has coached have benefitted from, as well as their clinic experiences. 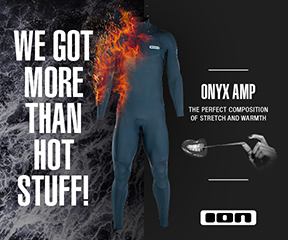 Want to know what’s the new news in the new year? We save you a trip to Fleet street by rounding up the rumours right here. 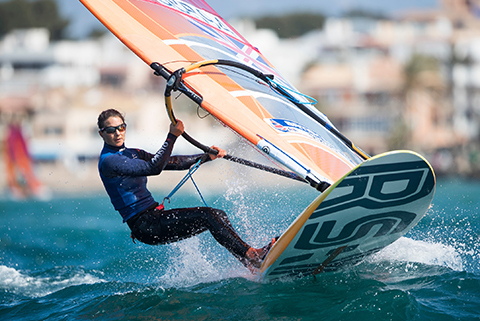 The push for Olympic glory in Tokyo 2020 continues for the British Sailing team as Richard Aspland reports. 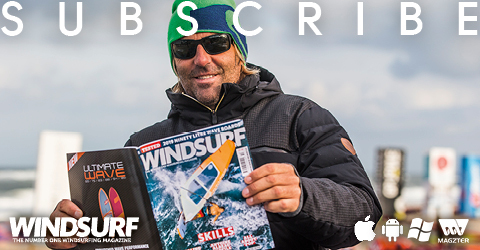 Earlier this year Alessio Stillrich suffered a horrific injury whilst training in Cape Town; Alessio reflects on the fateful day and his recovery so far. 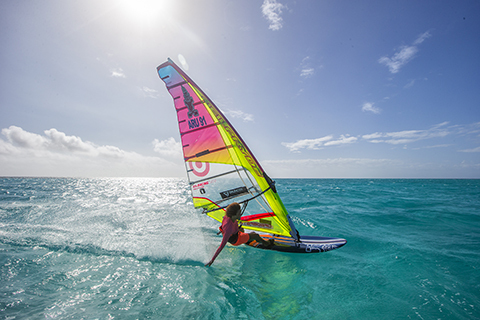 Travel and discover, the editor celebrates our sport’s love affair with the art of the search. Carole Fowler raises awareness of prostate cancer, an important male health issue that caused the death of her late husband. AFFAIRS OF THE HART – IN PRAISE OF SPEED HQ. 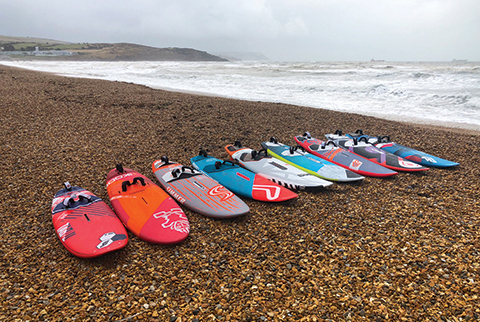 Harty plots the evolution of the iconic Weymouth Speed Trials.